Courtesy of Florida’s DJ E-Feezy’s Wolf of South Beach mixtape comes a new track from Lil Wayne titled “What You Sayin’?” On the track, produced by the Florida DJ, Weezy is in full punchline mode; “Kick a ni**a in his mouth, MMA, gonna stick a semi in his mouth, kissy face.” Another line that is catching listeners is a controversial verse about Kim Kardashian and Kanye West. “I’ma f*ck her sisters and her mom, Kim and ‘Ye,” before referencing Kanye’s “Respect artistry” line. Although the production on the track isn’t the best, Lil Wayne snaps leaving fans and listeners happy! 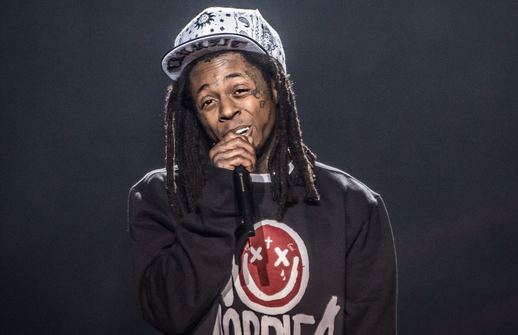 Check out Lil Wayne’s “What You Sayin” below!